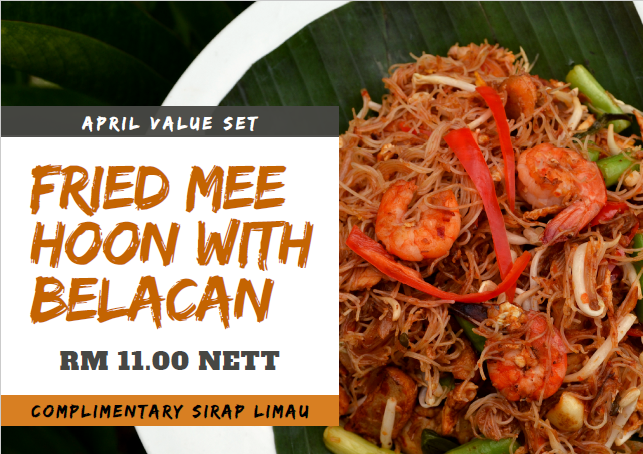 This April, we’re presenting you our FRIED MEE HOON WITH BELACAN VALUE SET! Give it a try together with our complimentary SIRAP LIMAU at only RM11.00 nett! For enquiries, contact 03-3323 8222.